This week we bring you the very best five cars from the Geneva Motor Show, which includes the latest Koenigsegg and Bugatti, plus a pretty ridiculous Lamborghini! Let's get right down to it, the Chiron looks fantastic and is a huge improvement over it's predecessor. Under the hood however, are where the smiles are bound to emerge from. It's powered by a redeveloped version of the 8.0-litre quad-turbo W16 engine found in the Veyron, however it's now pushing an insane 1,479bhp capable of 0-62mph in under 2.5 seconds, 0-124mph in under 6.5, and 0-186mph in under 13.6. Oh, and it also has a top speed of 261mph! All the figures are impressive to say the least, but what about everything other than straight-line speed? 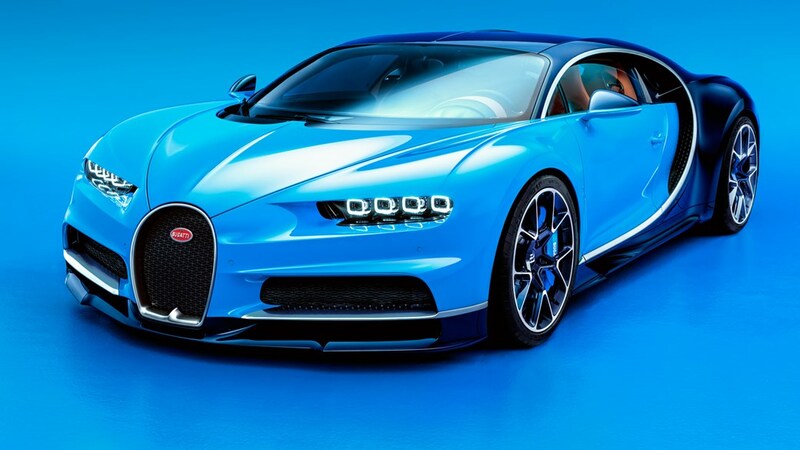 According to Bugatti, nearly every part of the car is new, including a new carbon-fibre monocoque chassis, advance adaptive suspension system, and the highest-performance clutch ever fitted in a car. Damn! As with the Veyron, only 500 Chirons will be built with each costing a phenomenal £1.9million. Around 140 have already been pre-ordered at a price of £200,000, with one particular customer paying the deposits for six! Now to cross the fingers and hope will be delivered to us! 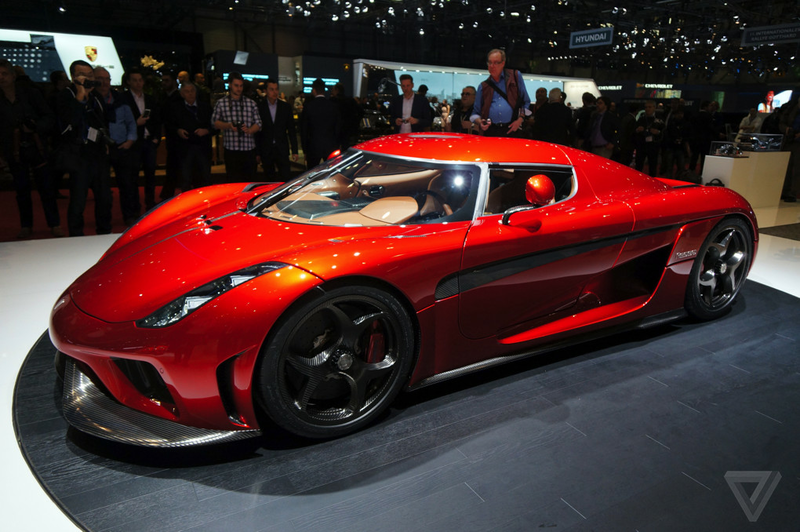 Swedish manufacturer Koenigsegg have officially debuted their hybrid hypercar at Geneva and it's pretty damn ridiculous. The car is running the same 5.0-litre twin-turbo V8 found in the Agera, but is complimented by the 4.5kWh battery pack and three electric motors meaning a power output of over 1,500 bhp! More importantly are its acceleration figures, with it doing 0-62mph in 2.8 seconds, 0-124mph in 6.6 seconds and 0-186mph in 10.9 seconds - that's 2.6 seconds quicker than the new Bugatti Chiron! 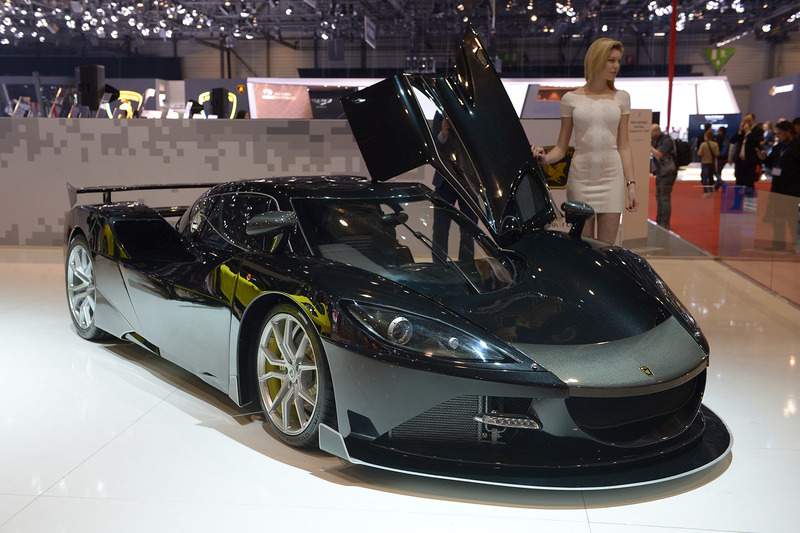 Arash Motor Company have turned up to Geneva and revealed their own hypercar - the AF10. Although the AF10 has been around since 2009, this one isn't quite the same. The main change of course is that insane power output, which is produced by a combination of its 6.2-litre supercharged V8 engine and four electric motors - meaning a total of 2,080bhp. Figures include a 0-62mph time of 2.8 seconds and a top speed over 200mph. The car is constructed around a carbon-fibre tub (similar to a McLaren P1) making it extremely light whilst also very strong. You can even request a race-spec version that includes a roll cage, fire extinguisher, intercom and a lightning bolt pattern down the side. As for the price you're looking at a hefty £1.1million upwards. 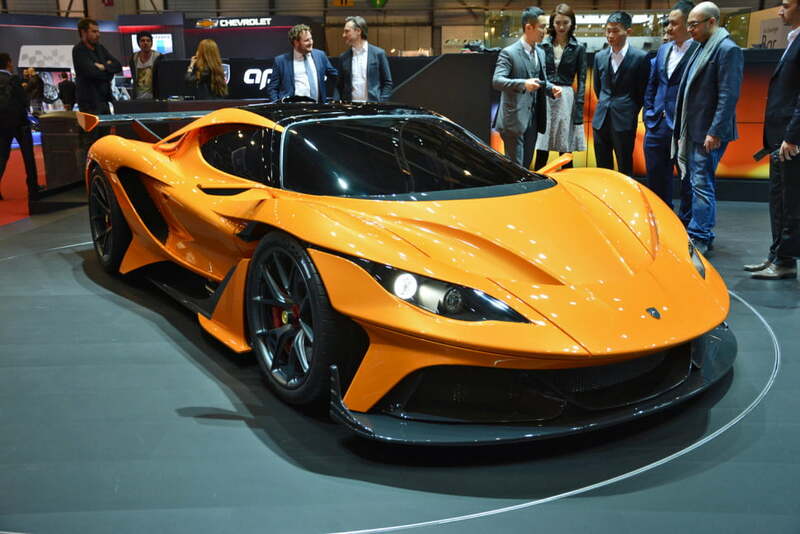 Apollo Automobile, or Gumpert as they were previously known, have pulled the covers off their latest supercar known as the Arrow. The car looks like nothing you've ever seen before, with multiple panels, distinctive lines and loads of carbon fibre making up its exterior look. Under the hood it's powered by a 4.0-litre bi-turbo V8 Audi engine, but with a load of tuning to get it pushing a crazy 986bhp. That coupled with the fact it weighs less than 1,300kg means the car is incredibly fast, with a 0-62mph time of 2.9 seconds and a top speed of 224mph! As of yet the price of the car hasn't been unveiled and nor has its release date, however considering the Gumpert Apollo R was around £600,000, you'd expect it to be priced between £750,000 and £1million, with it likely to be available sometime in 2017. 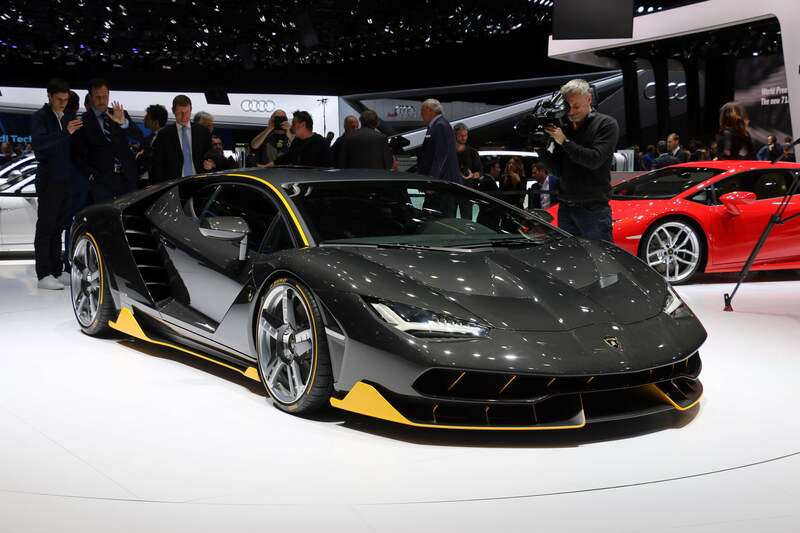 That is the Centenario - an incredible-looking, heavily tuned supercar that started life as an Aventador. It's powered by the same 6.5-litre V12 as a 'normal' Aventador however it's pushing out 70bhp more, meaning a new output of 760bhp. As for the weight of it, the car sheds nearly 250kg meaning an extremely light kerb weight of just 1,250kg. 0-62mph takes just 2.8 seconds with a top speed of nearly 220mph, but most impressive are its brakes - capable of stopping at 186mph in just 290 metres! Only a total of 40 models will be made (20 coupes and 20 roadsters) with each costing a whopping £1.6million. If you do have that sort of money however, you won't be able to get one as unfortunately they've all been sold in advance.